The Plfueger Medalist is considered to be one of the most iconic and classic fly reels of all time. The Medalist is well-known to be a tough, reliable, and great performing click-and-pawl reel. Revisions of this reel have been in production for generations and as the saying goes, "If it ain't broke, don't fix it." I'm not much of a gear collector but I do enjoy things that come with an interesting history. After hearing all the wonderful things about the reel I purchased one for myself to see if Medalist truly lived up to its name. The newest revision/model of the Medalist is the MEDX series. I currently own the MED34X and MED56X which I have paired with my 3WT and 5WT. The Medalist is a click-and-pawl reel made of a nice full machined aluminum construction. The design of the Medalist is one of the most iconic looks for a fly reel. Nothing fancy just designed to do it's job and do it well. The handle is made of a yellow polymer material that has a marble pattern. The Medalist feels heavier than most reels in its class weighing in at 5.4oz. The heavier aluminum makes it durable but comes at the cost of weight. The handle is a bit too short and bulky. Although it feels good in your hand I wish it was bit longer or less bulky. The click on the Medalist is near perfection; rather than a click the drag sounds more like a zip. 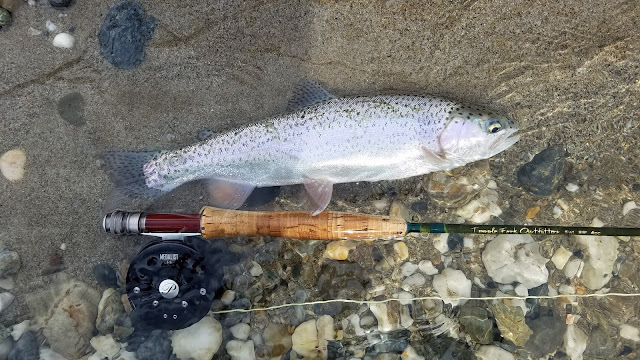 The reel is pretty quiet but loud enough to let others around you know that you have a nice fish on the other end of the line. The drag is absolutely perfect. I don't own a single reel that is as smooth as this one without some adjustments. No backlashing and just enough strength to tire out the big boys when they decide to take off. 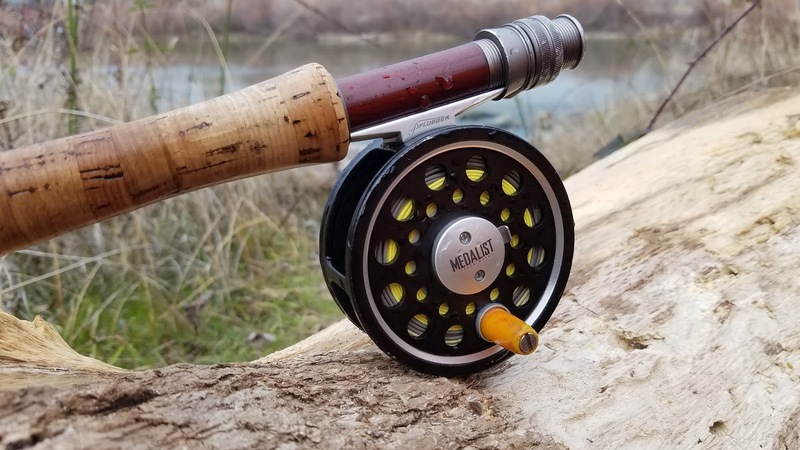 The Plfueger Medalist is fantastic reel that lives up to it's name. At $80-$120 the reel is a great deal for those who just need something that works well. I'm nitpicking when I say that the reel is a bit heavy and that the handle is short and bulky; these design decisions are quickly forgotten when this reel is in action. The Medalist is durable, has a great drag, and is your standard classic fly reel.